On September 22, 2017, at approximately 6:30 a.m., Killeen Police responded to the 3600 block of Trotwood in reference to a shooting victim. Upon arrival, they discovered a man with a gunshot wound to his abdomen. He reported that he was jogging in Long Branch Park and had stopped to take a break. According to the victim, a light-colored SUV pulled alongside him and an unknown assailant fired three shots at him, striking him in the abdomen. The vicim reported that he was able to run to his home nearby and his wife called 911. The victim was transported by Killeen Fire Department ambulance to Baylor Scott and White Hospital. He was treated and released a few hours later. Killeen Police Officers and Detectives continued to investigate and were able to determine that the available evidence did not support the victim’s account of the events. The victim is no longer cooperating with the investigation. Detectives believe there is no credible threat to the public or city parks based on this case. The case remains under investigation. More information will be released as it becomes available. Killeen Police responded to IH-14, at 6:39 a.m., on Wednesday, September 20, 2017, after receiving a 911 call in reference to a crash involving a vehicle and a pedestrian. Upon the officers’ arrival, they located a male lying in the roadway. The preliminary investigation revealed that the pedestrian was walking northbound across IH-14, when a black Dodge Journey traveling eastbound in the center lane, saw the pedestrian in the roadway and suddenly braked. A white Jeep Patriot traveling behind the Dodge Journey took evasive action and veered towards the inside lane to avoid a collision with the Dodge, collided with the pedestrian as he was walking across the lane. The pedestrian was transported to Carl R. Darnall Medical Center where he succumbed to his injuries. Justice of the Peace Bill Cooke pronounced 21 year-old Tariq Allen deceased at 7:19 a.m. 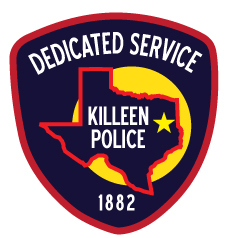 The Killeen Police Department Traffic Unit would like to remind citizens that it is a violation of the law to cross a controlled access highway and they need to use the walkover bridge for pedestrian traffic. The name of the victim has been identified as 27 year-old Pierre Andre Keupp of Killeen. An autopsy has been ordered to be performed at the Southwestern Institute of Forensic Sciences in Dallas. Officers were dispatched to the area of Tarrant County and Montague County Drive on Tuesday, September 19, 2017, at approximately 3:29 a.m. after receiving a 911 call about shots fired. Upon the officers’ arrival in the area, they were notified by a witness that a male, in the 2800 block of Montague County Drive, was suffering from gunshot wound. Justice of the Peace Bill Cooke pronounced the 27 year-old black male victim deceased at 4:38 a.m. The male suspect in these photos has been identified by detectives. Thank you to everyone who assisted the department with their information. The Killeen Police Department is asking if anyone can identify this suspect. Killeen Police were dispatched to the Star Mart Convenience Store located at 4002 Watercrest Road on Saturday, June 24, 2017, at approximately 11:53 a.m., after receiving a 911 call in reference to a stolen vehicle. The victim told officers that he went into the store and upon exiting he noticed his car, a white Nissan Altima was stolen. The vehicle was recovered unoccupied later that afternoon by patrol officers. Through the investigation, detectives with the Special Investigations Division, Burglary Unit, obtained surveillance video and are looking for the suspect in this photo.